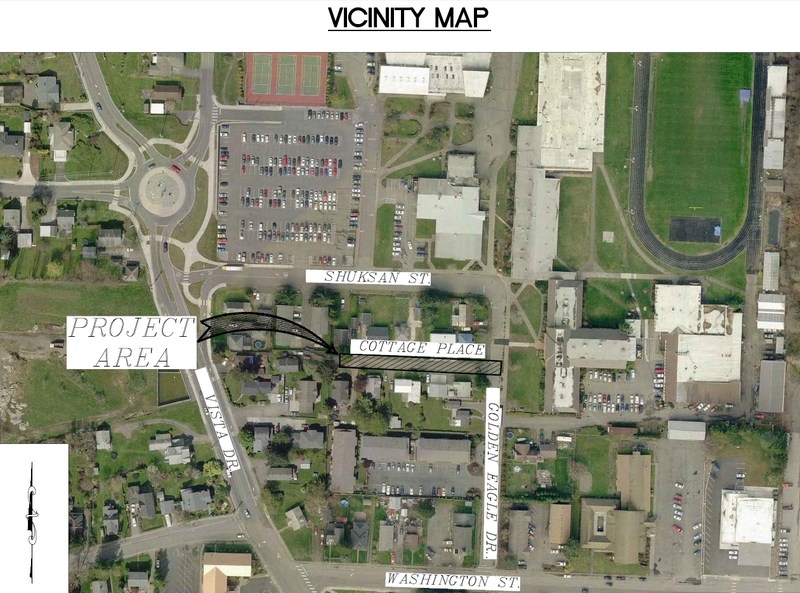 This project calls for the installation of approximately 325 lineal feet of 8 inch sanitary sewer main located along Cottage Place west of Golden Eagle Drive, 135 lineal feet of 6 inch side sewer and installation of a fire hydrant. The new sewer main will begin from an existing sewer main located in the intersection of Golden Eagle Drive and Cottage Place. A new structure will be installed in the existing sewer main and the new sewer will then extend west approximately 325 feet to an existing cleanout to be replaced. 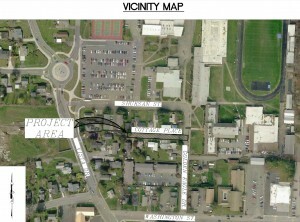 Work will include trench excavation; sanitary sewer installation; removing existing structures and HMA overlay.